Yankees third base coach Joe Espada went down Wednesday night. 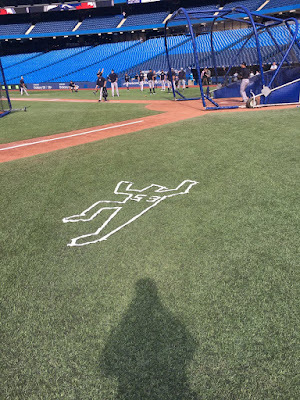 And last night...someone memorialized the fallen coach with a life sized chalk body outline. Good stuff. Especially given the fact that Yankees are most likely DOA after the team's owners refused to ante up a few million dollars to acquire difference maker Jay Bruce -- despite talking head morons declaring them 'all in' after completing some trades last week.